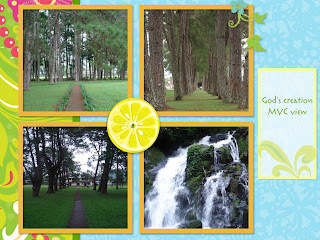 Its my first time to join and the reason why i join is because i am a scenic lover. Every time that i see a picture i immediately get my camera and take some picture of it. I want to show everyone what i have and how beautiful is our world. Oh no i am now going to become a poet ok let see if what picture I've got. I took this when we went to visit a friend in Georgia who have a surgery. 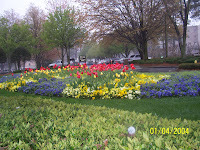 That picture was in front of the hospital and their flowers are just pretty. Oh those pictures you saw above was once the school i studied in college. They have a very pretty school and i love being there it sort like small heaven. 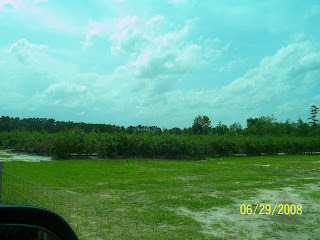 This last shot is our Blueberry farm. I love our farm even though its just a small farm but it looks pretty when the they bear fruits and blueberries are healthy too. The number one anti toxic of all fruits. For more participants just click the logo to join or see what they got. We love blueberries too. Last year we moved our blueberry patch to our new farm. They really took off and we had a nice treat this year when we harvested. I love blueberries too, thats a wonderful farm. 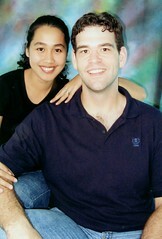 Your photos are beautiful.. Welcome to Scenic Sunday! I love your scenic shots and I can't wait to try blueberries. If I was studying in that school, I don't think I want to graduate, lol. Such a beautiful place. Thanks for dropping by my Scenic Sunday post. Super pretty place! I have seen lots of pictures from Georgia (especially the flowers), and all are so pretty! Such a pretty range of pics! And I adore fresh blueberries!